They gathered Thursday evening for three hours in a classroom setting, hoping to feel at home with the ever-exciting prospect of owning a home. Yesterday’s inaugural Homebuyer Education Workshop drew a sell-out crowd to Clock Electric. Yesterday’s inaugural Homebuyer Education Workshop drew a sell-out crowd to Clock Electric, Inc. in Lakewood, as prospective homeowners sought to capitalize on this free educational offering. Hosted by LakewoodAlive, Empowering and Strengthening Ohio’s People (ESOP) – a full-service, HUD-approved housing and financial counseling agency – and Third Federal Savings & Loan, the workshop addressed a host of topics ranging from homeowner readiness to responsible budgeting to credit management. After Allison Urbanek, LakewoodAlive’s Housing Outreach Director, led off the workshop with an introduction, the presentation shifted to Antoinette Smith, ESOP’s Director of Housing Counseling. Smith discussed the myriad advantages to owning as opposed to renting, including pride, privacy, more predictable costs and the potential for valuation increase. 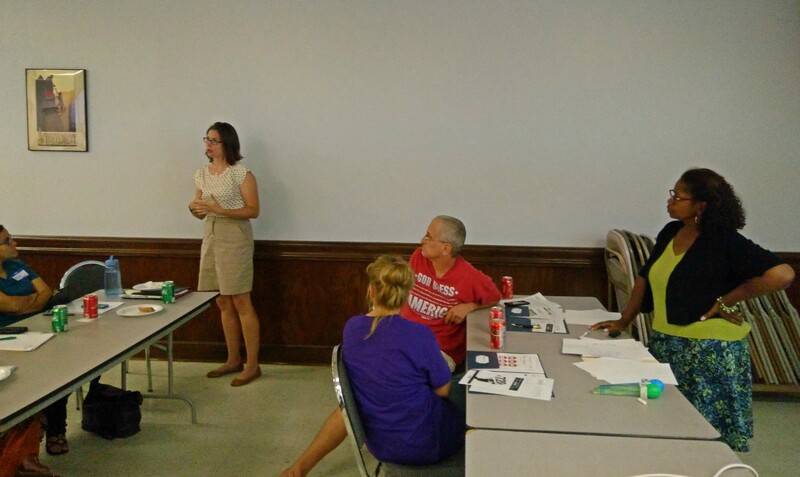 Smith conducted a budget exercise, asking workshop participants to reduce a hypothetical budget in order to make “Jessica” more financially prepared to pursue home ownership. She also delved into discussions regarding credit score reporting, debt-to-income ratio and down payment assistance programs. Ultimately, the workshop provided attendees with an opportunity to move one step closer to fulfilling the dream of homeownership. The two-part Homebuyer Education Workshop series resumes from 6 to 9 p.m. on Thursday, Aug. 25, at Clock Electric (1624 Coutant Avenue) in Lakewood.